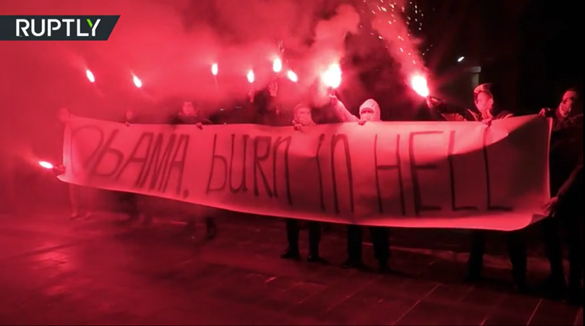 Activists in Russia unwound a banner that said “Obama burn in hell” and lit flares in front of the US embassy in Moscow on Tuesday. 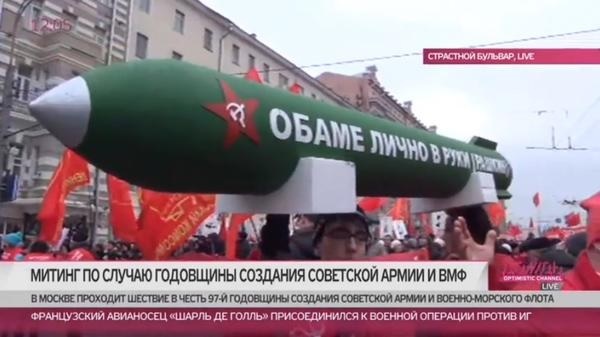 In 2015 Russia held a parade with a Blow up Obama missile. It is safe to say that they aren’t big fans of soon to be former President Obama in Russia.